This week, Dr Dawn Miranda Sherratt-Bado analyses Medbh McGuckian’s 2017 poem ‘Kepler 452B.’ Dawn reflects on its representation of the UK and (Northern) Ireland in light of Brexit, the 1916 centenary, and the 20th anniversary of the Good Friday/Belfast Agreement. Tweet her @drdawnmiranda with your thoughts. Much has been written about the obliquity of Belfast-born poet Medbh McGuckian’s work. However, her writing is subtended by a discernible political undercurrent. In particular, it exhibits a preoccupation with how politics unfold within the patterns of history. McGuckian’s poetry interrupts the seemingly inexorable telos of History via her idiosyncratic patterns of language and imagery. These patterns include recurrent symbolism which can be traced throughout her poetic oeuvre. As Leontia Flynn and others note, colour and natural imagery, as well as religious and artistic iconography, make up McGuckian’s symbolic lexicon. McGuckian’s techniques of juxtaposition, syntactic fragmentation, repetition, and subversion of traditional symbolic imagery, in addition to her use of found sources, are forms of play which destabilise linguistic and visual representation. Her 2017 poem ‘Kepler 452B’ references the eponymous exoplanet discovered in 2015 (also called Coruscant by NASA). The Earth-like planet exists in another solar system and circles the sun-like star 452. This has earned it the nickname ‘Earth 2.0’, and in McGuckian’s poem the planet evokes notions of life in an alternate dimension, or starting over in this one. I will examine how ‘Kepler 452B’ utilises the imagery of a solar system to dislocate the sign system of the ‘United Kingdom’ and to unsettle (Northern) Ireland’s place within this configuration. This method demonstrates McGuckian’s fusion of poetical and political consciousness within her writing as a means to engage with the intricacies of contested histories and national narratives. White Flag, 2007. Photograph by Paul Seawright. The Easter Rising led to the Anglo-Irish War, and subsequently to the partitioning of the island. The Six Counties remained yoked to Britain and were cut off from the rest of Ireland. Now, nearly one hundred years later, Brexit threatens to harden this frontier. Despite Northern Ireland’s majority vote to remain in the EU, Britain seeks to drag it out, further removing it politically and ideologically from the Republic of Ireland and the rest of Europe. 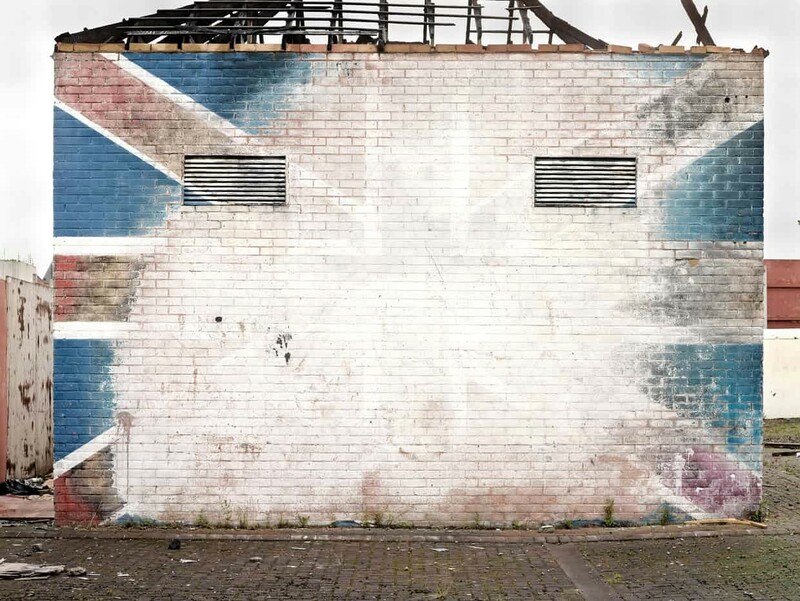 This (re)birth is a polysemic image, for it simultaneously references the birth of the Republic and that of Northern Ireland. The latter statement implies that her choice to write is a dangerous act in wartime; hence it must be kept secret from those who would not ‘like the look of it.’ However, it is unclear which side ‘they’ are on. one universe at a time, the one real world. Here ‘numbers are useless in counting’ moments or years, as events from the past repeat within the present. The writer/speaker seeks escape to an alternate universe as a way to break out of this cycle; however, she recognises that ‘there is only…the one real world.’ The unreality of her surroundings prompts her to create another world within the poem, whose incantatory rhythm echoes that of prayer. 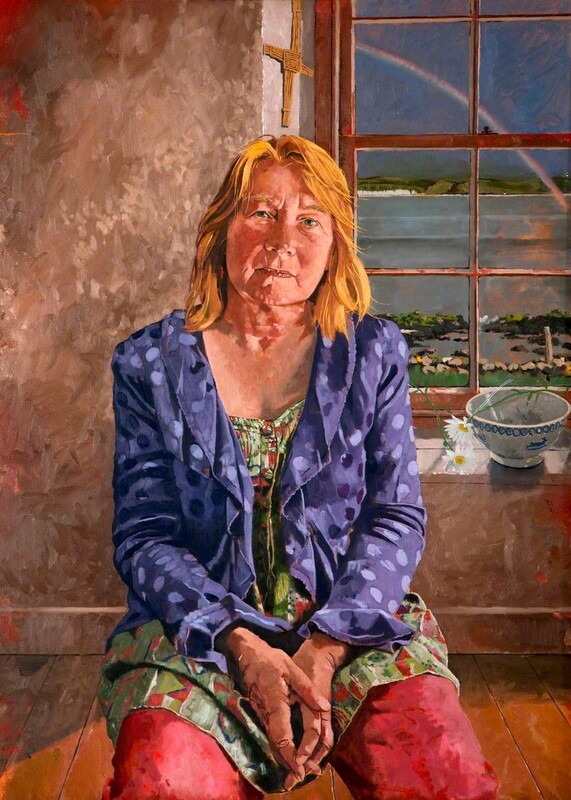 In her poem, McGuckian addresses the significant historical events of the Anglo-Irish War and the Troubles in order to comment on the current political situation in 2016, which is paradoxically marked by the communal commemoration of the Easter Rising and by the divisive force of Brexit. McGuckian displaces the received narrative of the ‘United Kingdom’ by reworking its core/periphery model as a solar system. Her disjunctive mode of perception limns an alternate poetic universe which denaturalises the self-generated, self-replicating order of (neo)imperialism and its territorialising imperative. She dismantles teleological History, which occurs in linear time, by contrasting it with that of the cosmos – opening up infinite creative possibilities for rewriting and reimagining history. See Leontia Flynn, Reading Medbh McGuckian (Sallins: Irish Academic Press, 2014). See Medbh McGuckian, ‘Kepler 452B,’ The Lonely Crowd, 8 (Nov. 2017), https://thelonelycrowd.org/2017/11/04/kepler-452b-by-medbh-mcguckian/, accessed 4 Nov. 2017. Dr Dawn Miranda Sherratt-Bado is an academic and a dual specialist in Irish and Caribbean Studies. She is co-editor of Female Lines: New Writing by Women from Northern Ireland (New Island Books, 2017). Dawn has also published in Irish Studies Review, Breac, Callaloo, the Sunday Business Post, and Writing the Troubles. She is a regular contributor to The Honest Ulsterman, the Dublin Review of Books, and The Irish Times. Follow her on Twitter @drdawnmiranda.